For the last 5 years Sterling Project Solutions has acted in the capacity of Project Superintendent on the Bates Smart design competition winning ‘Australia Towers’ mixed use development by Ecove at Sydney Olympic Park. 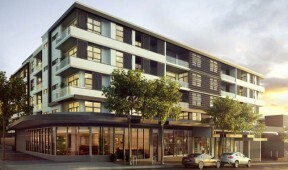 The overall development includes the construction of 816 luxury apartments, with an associated commercial and retail precinct including a child care centre. Spread over four towers and delivered in three stages, with an expected Stage 3 completion date of spring 2015, the total development has a project value in excess of $270 million. The experienced staff at Sterling Project Solutions have the ability to undertake the Project Management role on behalf of our clients enabling us to facilitate control of the design and construction process and provide smooth delivery of the project. 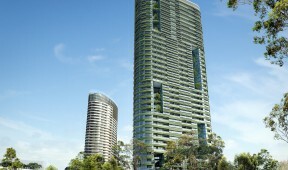 Currently, Sterling is the Project Manager for the $150 Million ‘Opal Tower’ 37 storey / 392 apartment development at Sydney Olympic Park (due for completion in 2018) and also the $20 Million ‘Vantage’ development consisting of 57 luxury oversized apartments in the heart of Eastwood (due for completion in 2017). 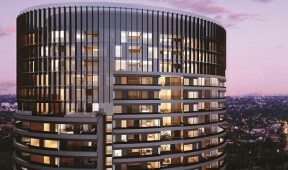 Sterling is also engaged by the Commonwealth Bank of Australia as their independent Project Manager for the $110 Million ‘Burwood Square’ Development. Sterling is not only a skilled group of Project Managers, but are also fully licensed builders, able to offer professional pre-purchase inspections, and informed assessment of design and contract quality standards provided by prospective builders. Our extensive experience in the direct management of contractors, which provides the skills for our team to control all aspects of the construction phase of the project, especially in the critical areas of quality control, environmental control and safety management. Sterling Project Solutions Pty Ltd is a Project Management, Construction Management and Consultancy Company specislising in infrastructure design and installation services to Corporate offices and IT technology users, telecommunications, data centre development and IP infrastructure. With ten years experience in design and delivery of IT infrastructure and network infrastructure, Sterling Project Solutions offers innovative solutions to meet customers needs and with appropriate design and delivery techniques, can save the customer from overly expensive initial Capital Expenditure and longer term Operation Expenditure needs. Expertise and specialisation in our chose field ensures the right design is delivered to our customers expectations. Our approach will ensure the optimum operational integrity is achieved whilst balancing operational and capital expenditure requirements. Copyright © 2019 Sterling Project Solutions.